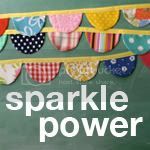 I have a super fun giveaway for you from The Wishing Elephant. 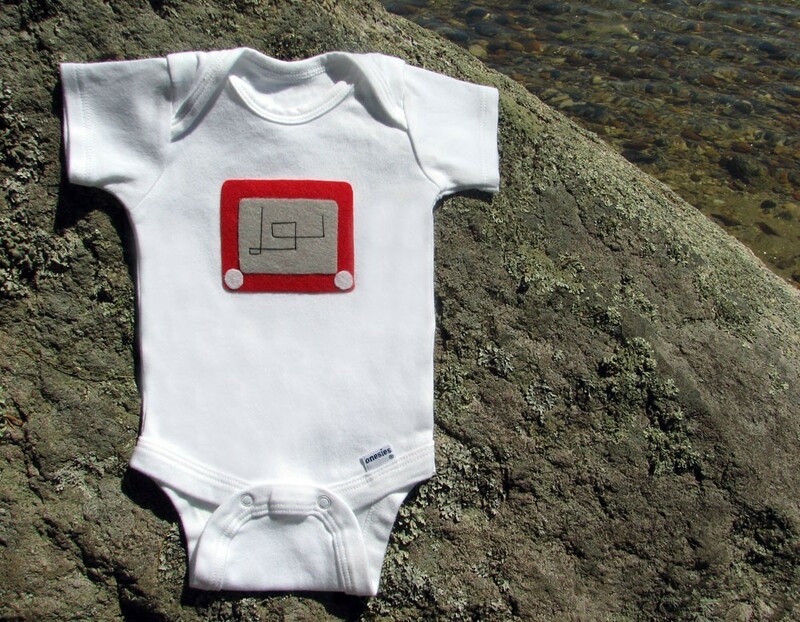 Check out their really cute onesies & toddler t-shirts featuring eco felt. One lucky winner will win 2 shirts of their choice!! If you don't have little ones at the moment, think baby shower gifts! To enter this giveaway, please visit The Wishing Elephant & leave me a comment with your favorite item. Don't forget to include your e-mail address in your comment so that I can easily get in contact with the winner. Once again, followers get an extra shot at the prize. If you follow my blog, please leave one additional entry letting me know. This giveaway is open until Monday, July 5th. I LOOOOVE the campfire shirt! my 2 year old would rock that. Funny...I call my 18 month old a little monster all the time, so that one's perfect! i love the etch a sketch one! so cute. What a cute shop!! I love the jackalope onesie. I loved everything. I liked especially Multicolored Cupcake Birthday Dress. I LOVE the 1 UP baby onesie!!! Soooo cute! So many cute choices, but I really like the Jackelope - too funny. Too stinkin' cute!! The etch-a-sketch is pure awesomeness! Oh, and the Groucho Glasses are a close second! OMG....Love love love the Love Bus!! wow these are super cute! thinking of the lil one coming and i like the kiwi- but the buses rule too. how creative and talented! i follow the candace, follow the candace, follow the candace- she knows the way! These shirts are ridiculously cute! I will say groucho is my fav. Oh! And I follow your blog! Groucho Glasses crack me up- love it!!! Oh my goodness, the Kiwi and the (chocolate) Bunny onesies are just adorable! How does one choose the cuter one? I like the hiding panda. I like the Playful Puppy PJs! I really like the kiwi set! Very cute things she comes up with! 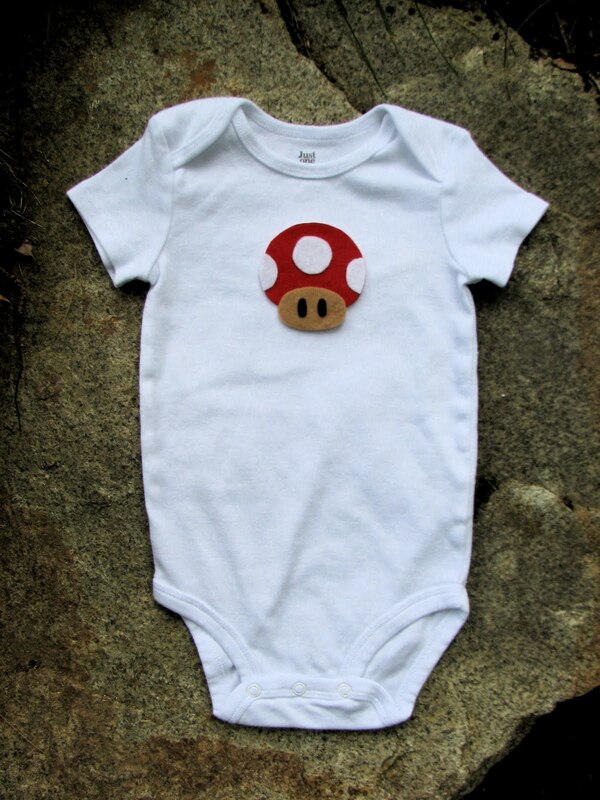 I'm a big fan of Super Mario Bros. so my favorite would be the 1 up onesie. I'm a follower (you're on my google reader list)! Oh dear, I love the one with the cupcake and the one with the fishies! Too sweet! The pink eco flower is one of my favorites--especially for when our newest addition arrives! I love the panda shirt! My new little one (10 days old) is nicknamed Panda Bear, so it would be perfect! I also love the little 1 and 2 shirts...the big and little sisters would look great in them! I'm also a follower in google reader! love the panda, and the kiwi set! The orange bus. How super cute! 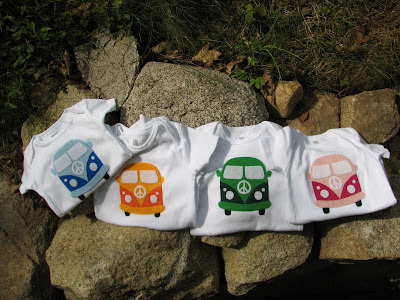 I have a nephew due in Aug and he would rock those cute v dub bug shirts! Love 'em! Can I have two favs? Alien and Jackalope. But if I had to pick just one, it would be the Jackalope. I had an actual Jackalope sighting on a late night drive through Pecos, TX a few years ago. Seriously! My husband was there. He'll vouch for me. One of my best friends is having a baby TONIGHT and I'd love to send her the Super Mario One Up Onesie if I won! omg...Love the Bus ones and the etch-a--sketch! Too cute! I love the Etch-a-Sketch...so cute and reminds me of my childhood!! :) But then again, the 1 up onesie is adorable. The double slugbug is adorable, but I love the Domo-like monster! So cute, thanks for the chance to win! 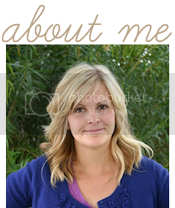 my friend candace for being a famous, super talented crafty blogger that also does giveaways. awesomest! Hi there! I loved all the clothes, but being an animal lover, my favourite was the panda. also, for a boy, the one with the tie is just the cutest!!! oh and I'm a follower and I'm having a giveaway on my blog tomorrow! Easy to see I love the 3D pink eco flower and the pink cupcake onesie. Cute stuff. Always thought I was a follower, but guess not. So now I am! Hello! I like the love bus vests. These are so cute! I'd love to have the Orange Love Bus for my nephew! I did go check out the etsy shop, but I still like the Etch a Sketch onesie best! So cute! These are so cute! The fish and jackelope for sure, as my daughter is into fish and bunnies at the moment!! cute shop! i love the Groucho Glasses onesie - i grew up watching TONS of Groucho Marx movies! so cute - can't decide what I like best! Love the etch a sketch, 3 amigos, and the panda too! Wow! I love them all! The Etch a Sketch has to be my favorite though... Thanks for the giveaway! I love the love bugs they Rock! the love buses are toooo cute! My daughter is having a baby and she would love these. I love the aqua fish! The blue love bus is adorable! I think the love bus ones are adorable!! My favourite is the Jackalope onesie! i like the cupcake one!! i love the etch-a-sketch and the love vans onesies! I love the blue love bus! It's awesome! blog follower! thanks for the opportunity! love the Power Up Onesie! I love the green love bus, and the campfire onesies! So cute! i think that the campsire one and the 3d Pink Eco Flower - Striped 6-9 months are both so cute! I found you by way of [tales and trials] whose blog I found via [ashleyannphotography]! I'm love your artwork! Okay, seriously!? These onesies are ridiculously adorible! I love the "kiwi." I know that I have at least two possible baby candidates who would absolutely be squeezable in one of these numbers! Thanks, Girl! I love the Aqua Fish Baby Onesie. I really love the bacon and eggs twin set! I love the power up baby onesie. My husband and I love to play Mario together! I also think the kiwi slice is cute. I love the hidden panda and the we come in peace ones... so cute! Sheesh... so many cute things! I love the Jackalope onesie, the Power Up onesie, and the 4 fish toddler tee. The marshmallow campfire shirt would be GREAT for a little one! I love the Kiwi Bird design! Super cute. Thanks! I love the Pink Cupcake Onesie. My favorite is the Kiwi bird. the little monster ones are so cute! I love the 4 fish Toddler shirt! So cute!! I like the pink poodle. Cute stuff! I have triplets, so I love the Three Amigos triplet set! Thanks so much! I love the Etch-A-Sketch onesie. I used to love playing with mine. the etch a sketch is AWESOME! I love the striped onesie with the pink flower. I'm in love with their sets for twins, especially the Peanut Butter and Jelly one! The Groucho Glasses shirt is SO cute! I love the Marshmallow Camp Fire Toddler Shirt. Perfect for camping! i just love 3d Pink Eco Flower - Striped and Hot Pink Bee Tie Baby Onesie. Love the pink love bus or the cupcake. Wow, these are really cute! I follow you through my reader! Love it! I love pretty much all of it but we love Mario around here so the 1 up or the power up would be perfect for our latest babe. Thanks for introducing to this shop! Gotta have the groucho glasses! Thanks for the giveaway! I love the power up onesie! My favorite is the kiwi baby shirt! I love the power up baby onesie and the marshmallow campfire onesie! I would choose the power up and kiwi bird designs on toddler tees. Too cute! My favorite are the VW bus shirts. Being a Nintendo fan, I LOVE the 1 UP baby onesie!